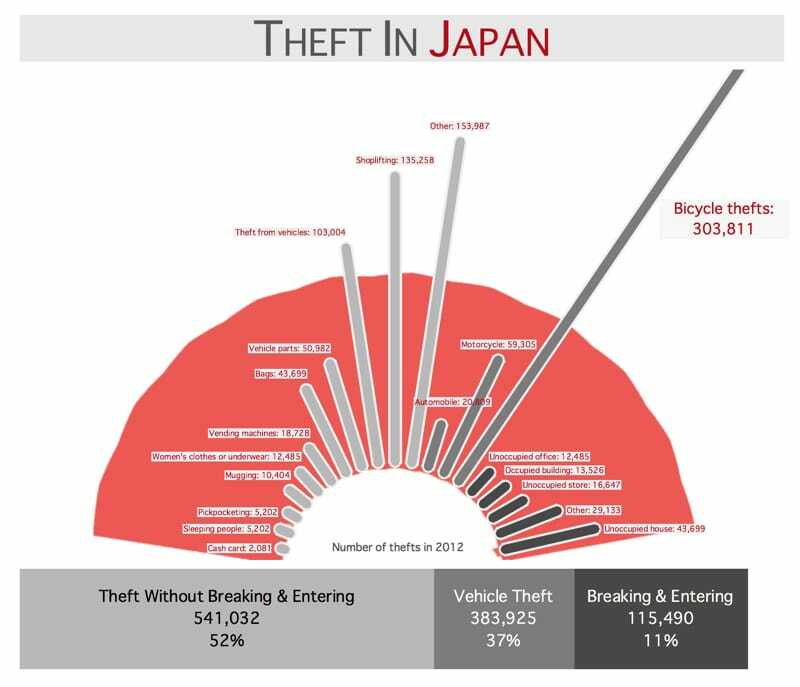 Chart showing the number of reported thefts in Japan in 2012, part of the Makeover Monday data visualization series, run by Andy Kreibel and Andy Cotgreave. 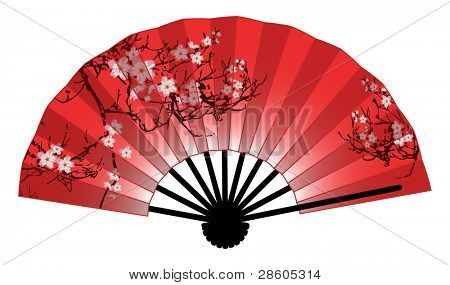 Design inspired by Japanese hand fans like this one. I had some fun with this one and took some liberties to create a piece more in the data-art camp than a serious data visualization. At heart, it’s a radial bar chart with a background image. I’m indebted to this useful blog post, which showed me how to do all the hard stuff: How-to create radial bar charts from Interworks. Ironically the one and only time I went to Japan on business I ended up stealing a bicycle.